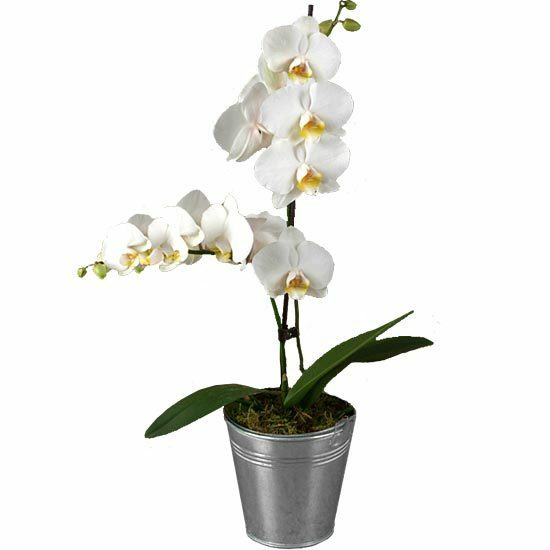 This beautiful white Phalaenopsis orchid will make a chic, long lasting gift and grace any room with its delicately exotic flowers. Robust and easy to maintain it comes in a stylish plant pot. The Phalaenopsisis is the most common variety of orchid and one of the most abundant in flowers.